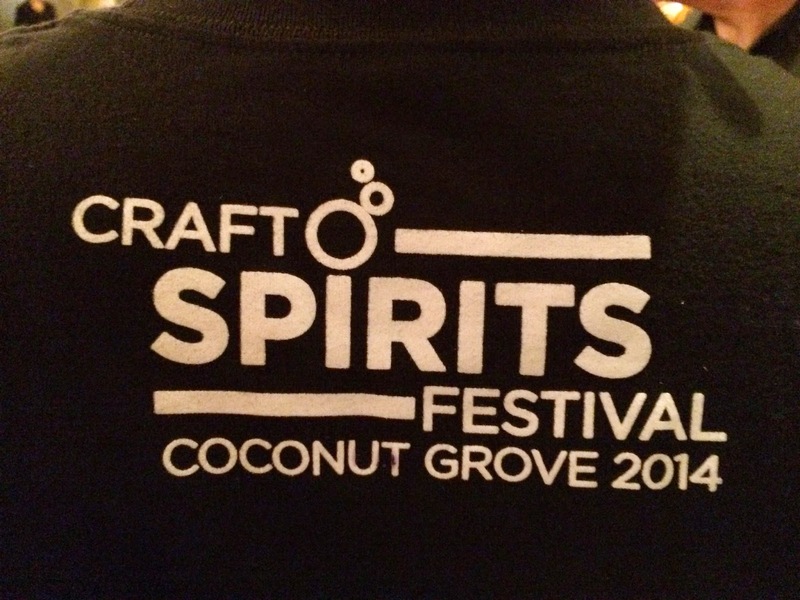 Last night, Ed Roberts and I attended the second annual Craft Spirits Festival in Coconut Grove, Florida. Thanks to Ed, we were uncharacteristically late for the 7 pm start, but it didn't really matter since the event lasted until 11 pm, and no one needs to drink spirits for four hours in a row! Let me say that The Cruz Building is beautiful and was an amazing place to host this event--really unique in every way! 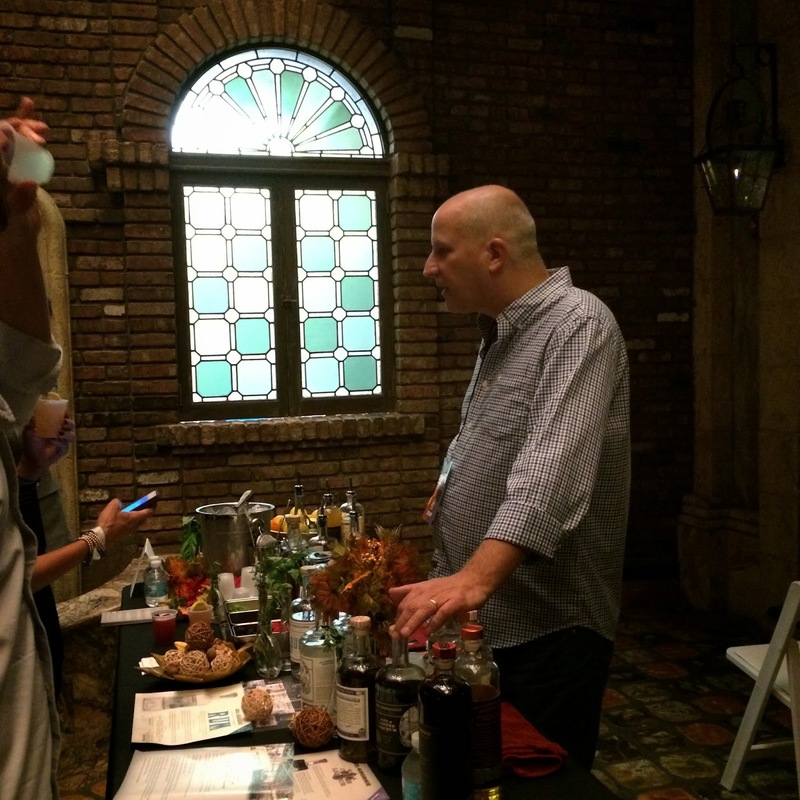 We stopped by almost every exhibitor to see what they were serving, trying some of the spirits that each vendor brought. We needed to be selective and go for options that we hadn't tried previously. 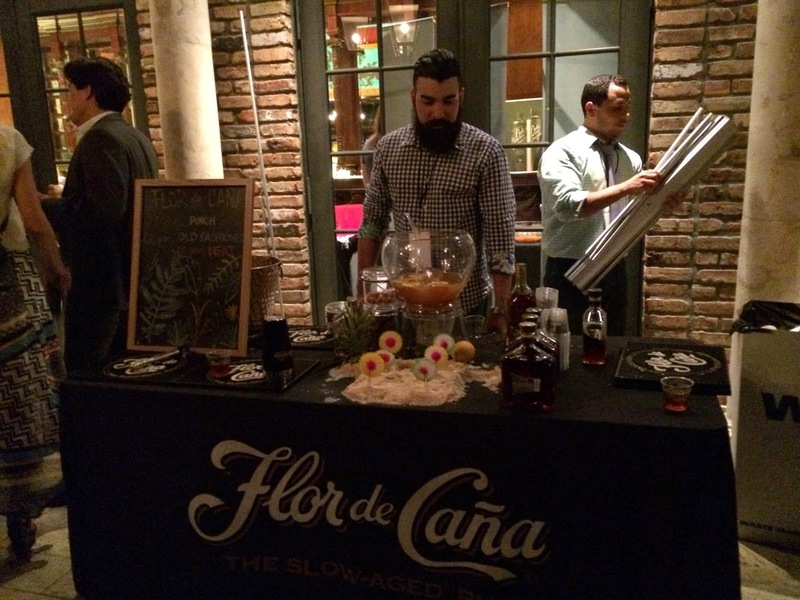 We were also offered numerous cocktails throughout the night, though I personally preferred to taste each spirit neat. 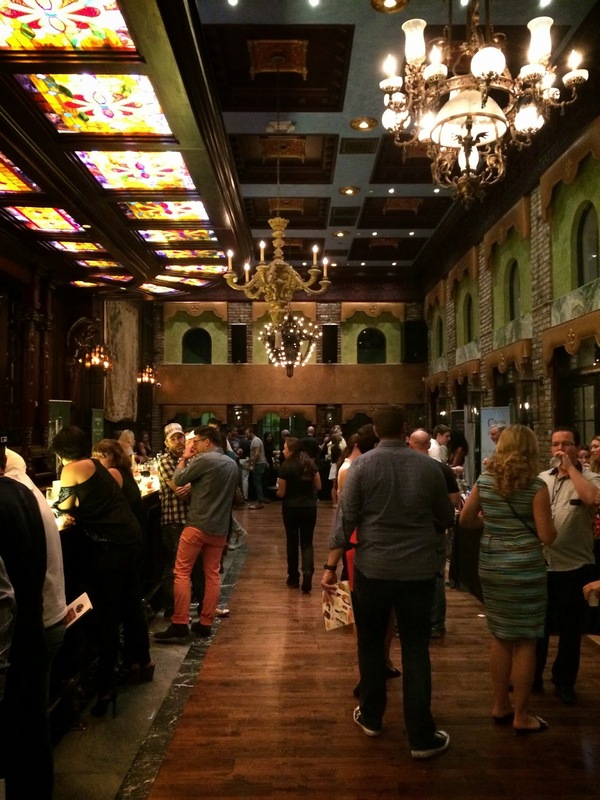 In addition to the spirits, several restaurants served hors d'oeuvres at select locations throughout the building. 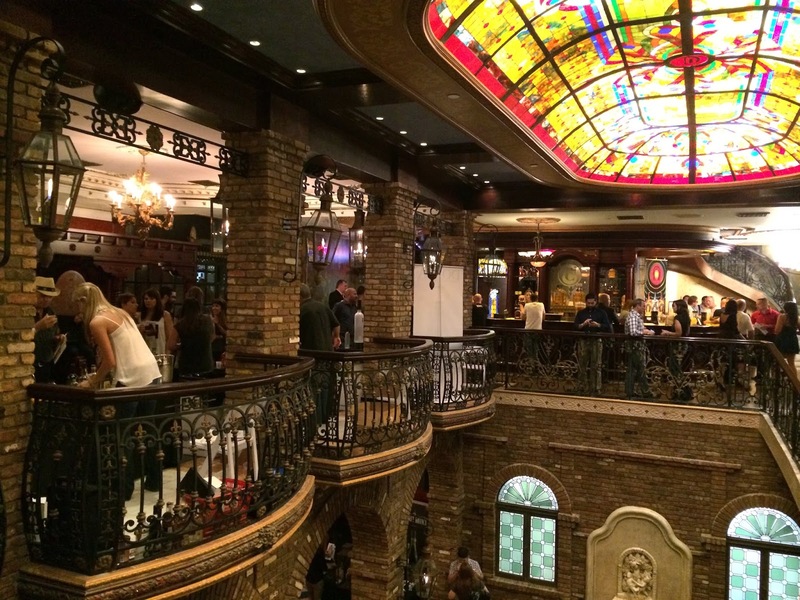 The Cruz Building has three floors each with a long bar (which, not coincidentally, were all being heavily used). 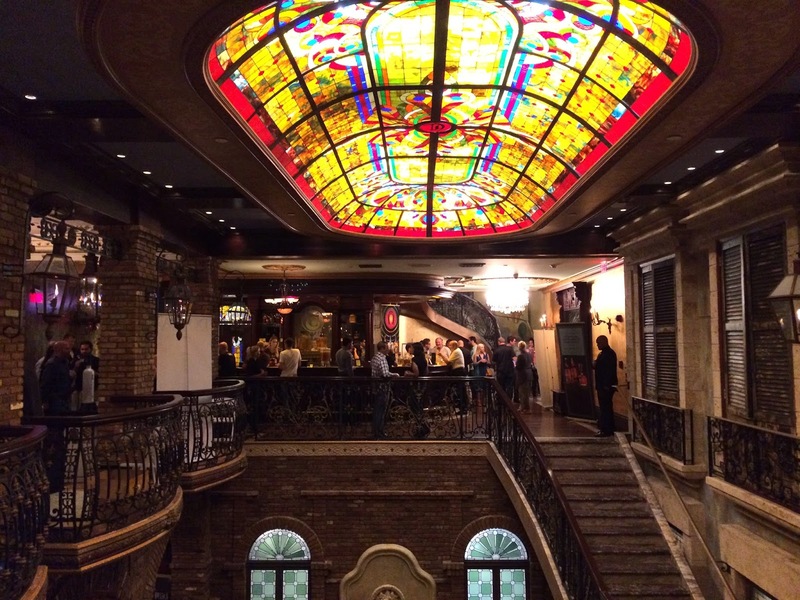 There are intricate stained glass panels, mirrors, chandeliers and many other features everywhere--seriously check this place out some time. The third floor also has an outside terrace. 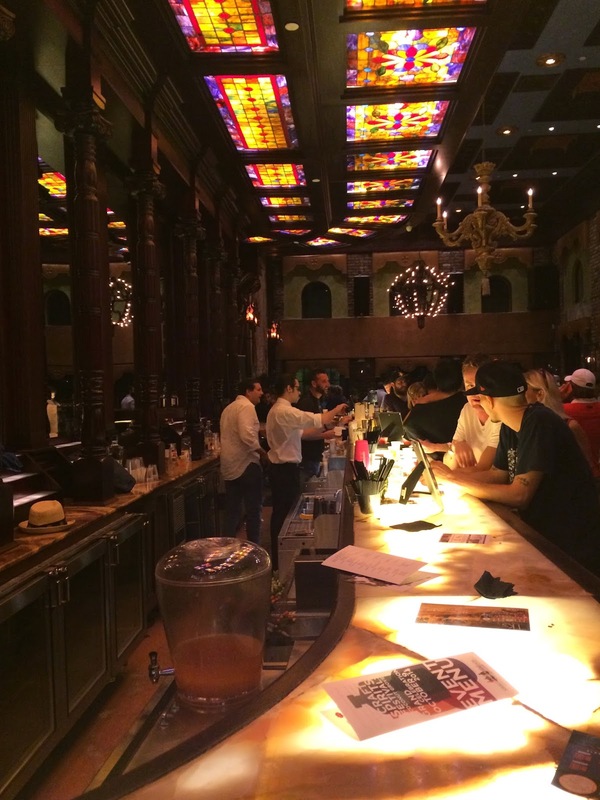 All of the space was mapped out very well, with different spirits and food options throughout. 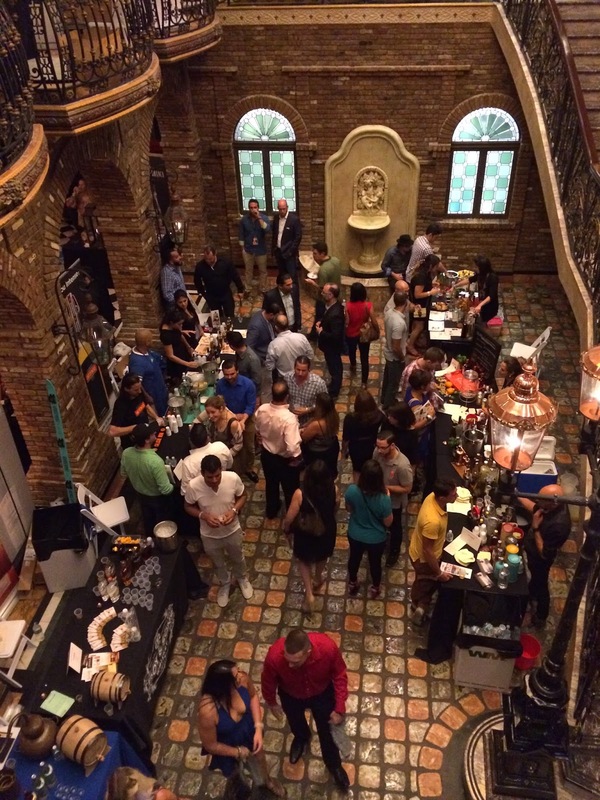 And there wasn't a mob of people like you may encounter at many festivals--the number of attendees was perfect for socializing and learning about the spirits and enjoying the evening. 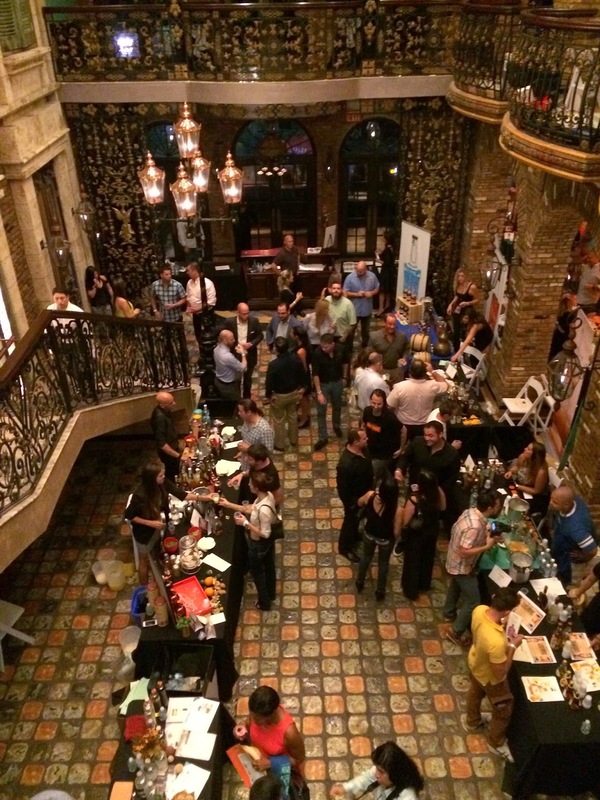 I saw a few people I knew, including my bosses James and Annette from SoulOfMiami. And you certainly know you've been at a few previous events when you know the promotional models by first name! 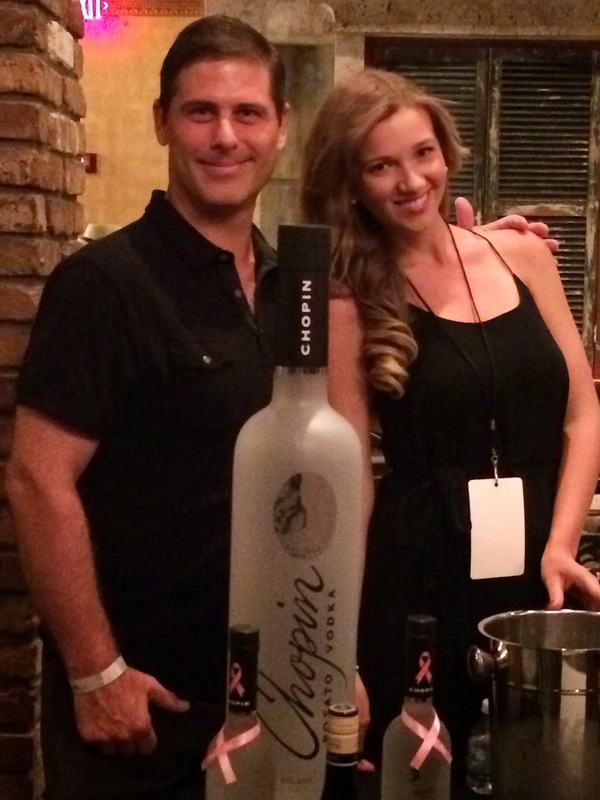 A few Real Housewives alumni were supposed to be there making cocktails for charity, and maybe they were eventually, but I didn't see them (that made me sad, LOL). 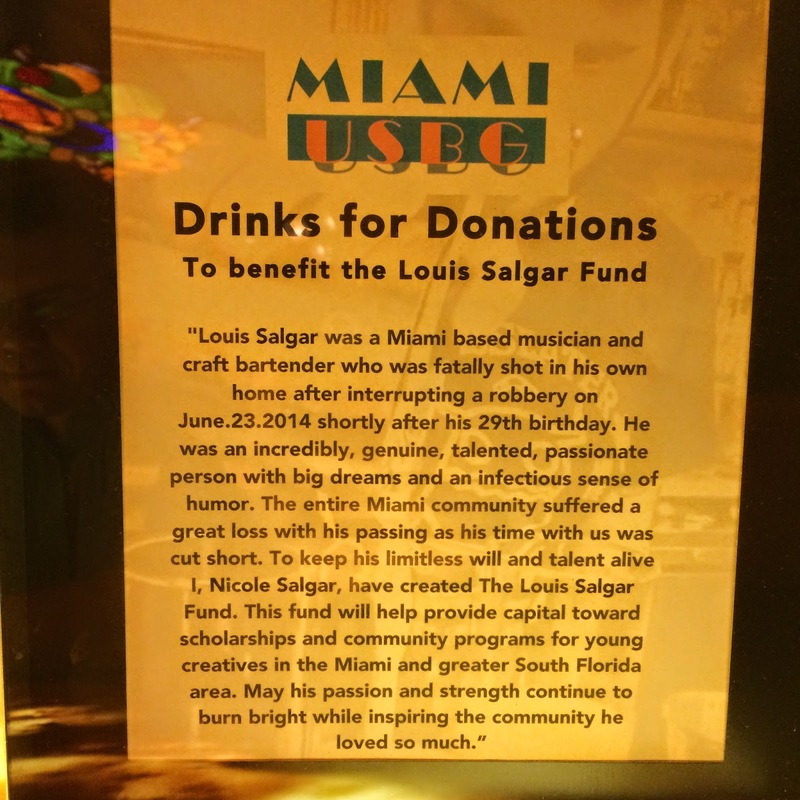 But Ed and I had one of those drinks in support of the Louis Salgar Fund, mixed by a non celebrity. I had a lot of favorites, so let me get that point out of the way first. But I can highlight a few spirits and vendors that really stood out in my mind. 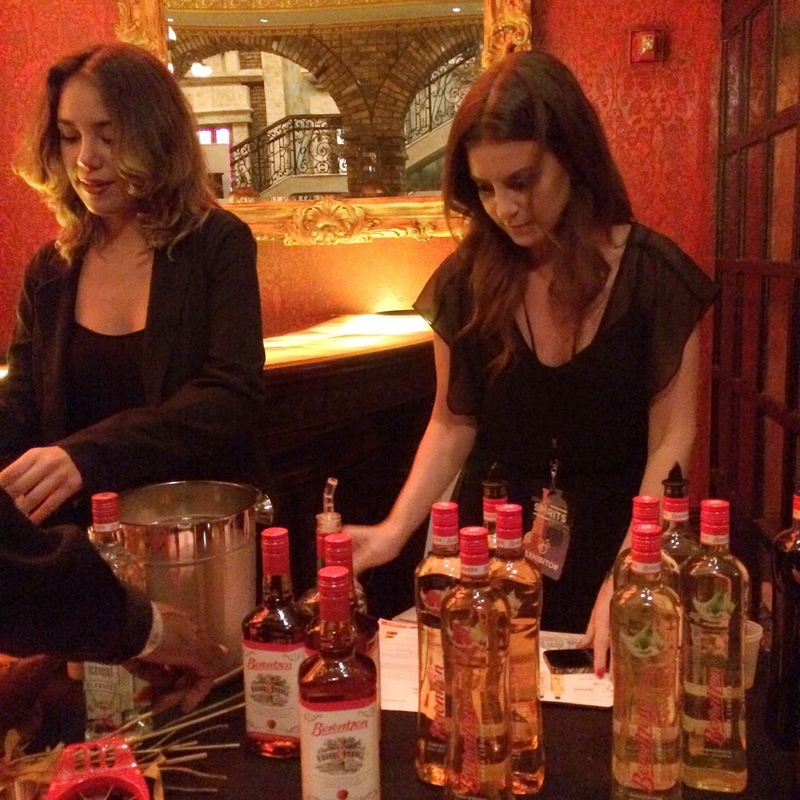 My favorite stop of the night was at the Remy Cointreau booth. The woman there was very knowledgeable about her product line, enthusiastic, and obviously missed by her previous company (her old boss said so while we were standing there). By the time we left the table 15 minutes later, we each had a stack of five empty sample cups and a wealth of information. We started with Remy Martin 1738 Cognac. It was full of amazing fruity apricot flavors, very smooth, and lacking the burn in the finish. Great product! 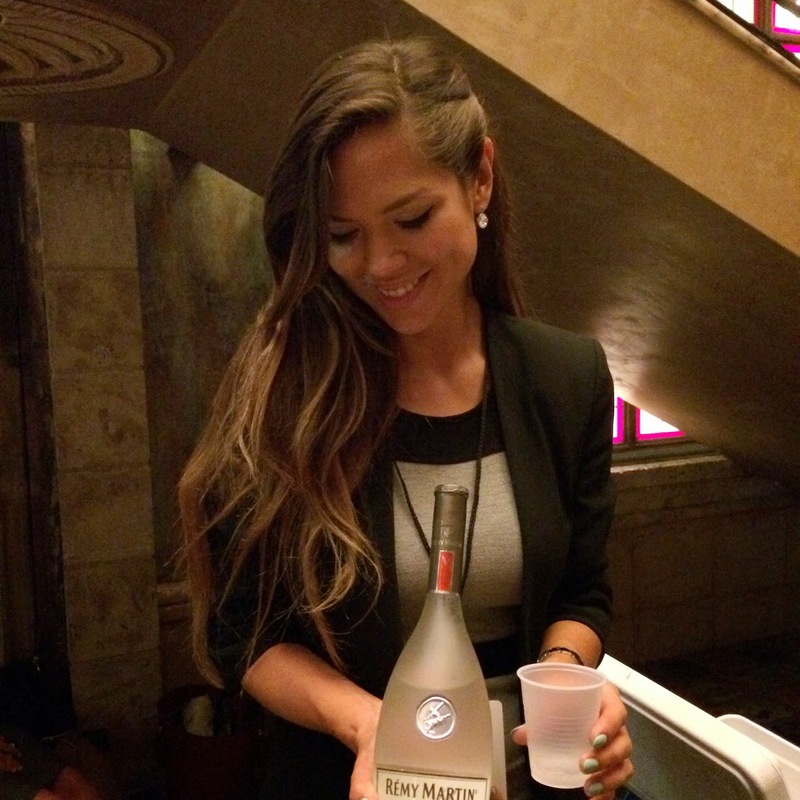 Another interesting product we tried was Remy Martin V, an eau de vie made in the same way as their cognacs but without aging it in barrels. 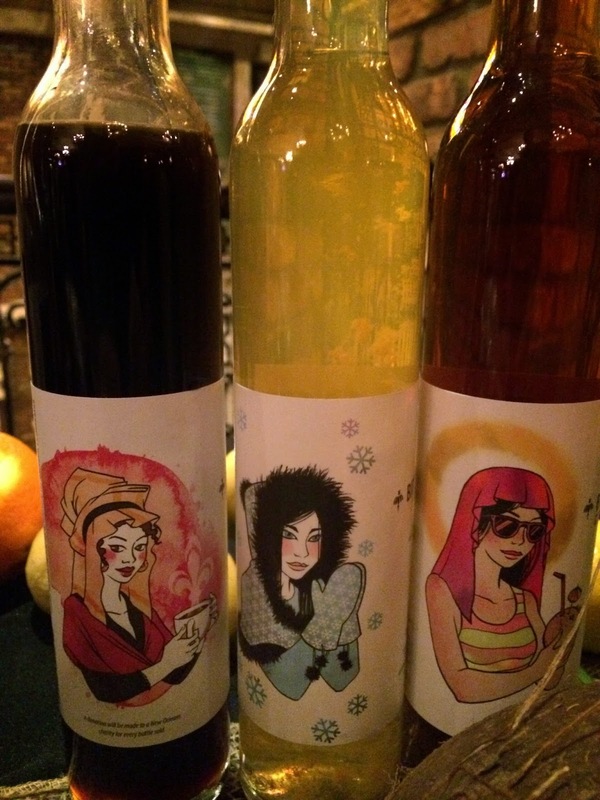 We were reminded several times that it's not a Cognac but rather a product of its own. 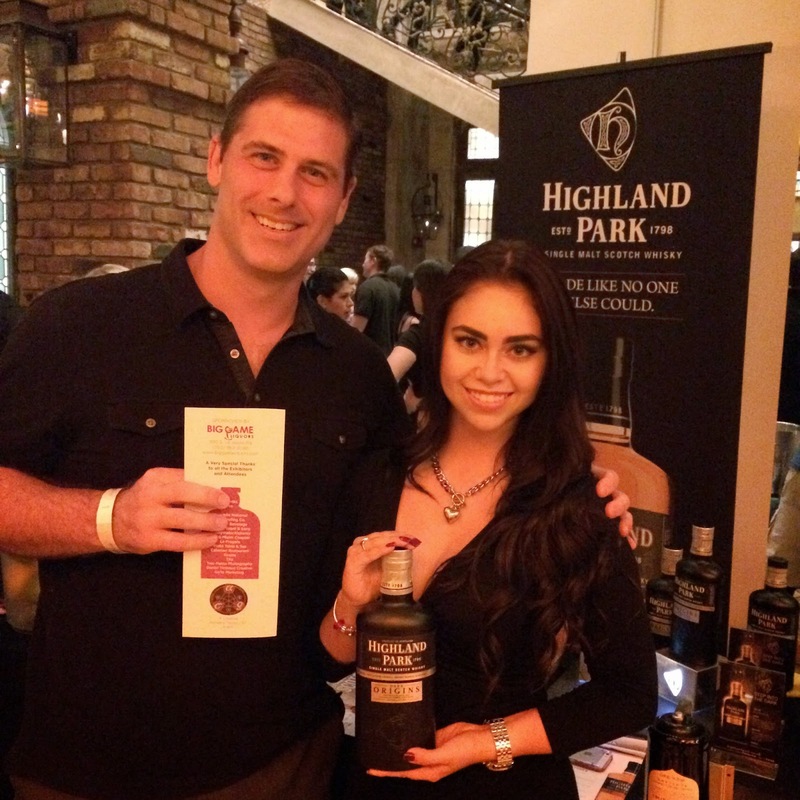 On the first floor we also tried Highland Park Dark Origins, a product not on the market yet. The Dark Origins name refers to the color given to the Scotch during maturation in Sherry casks. 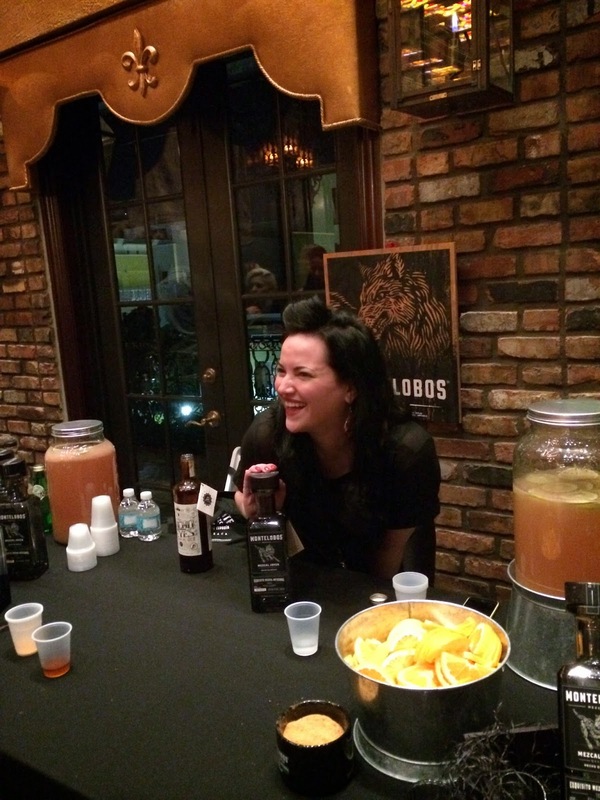 It was a rich, smoky, delicious spirit, full of wood and fruit with an intense burn at the finish. Moving on... and up a beautiful staircase to the second floor. At the top of the stairs we were greeted by one of those huge bar areas. 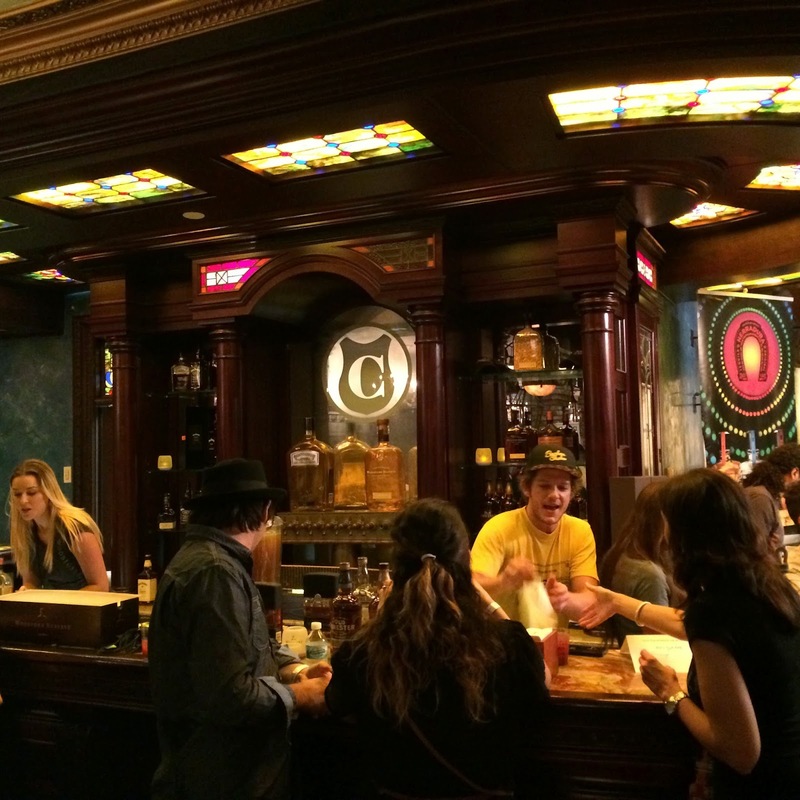 This bar was home to Woodford Reserve, Gentleman Jack and Jack Daniels to name a few. 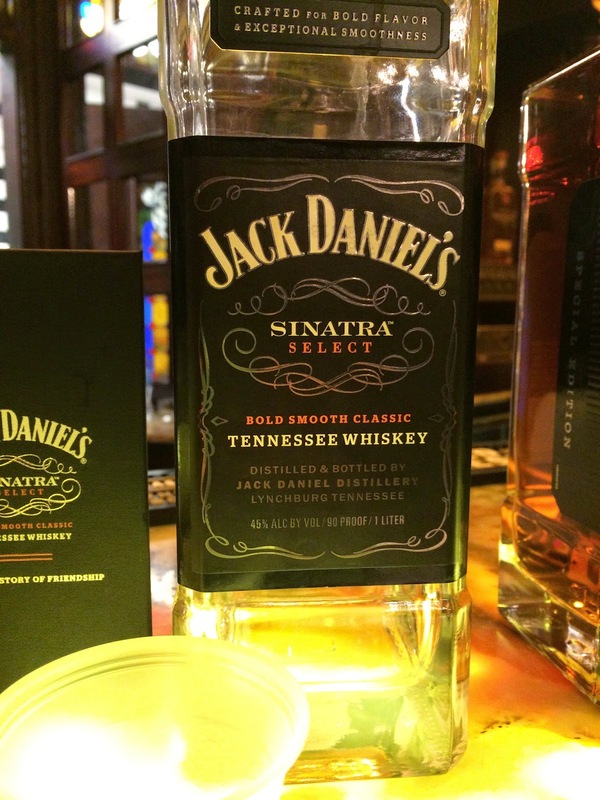 I tried each though the highlight was the bottle of Jack Daniels Sinatra Select. 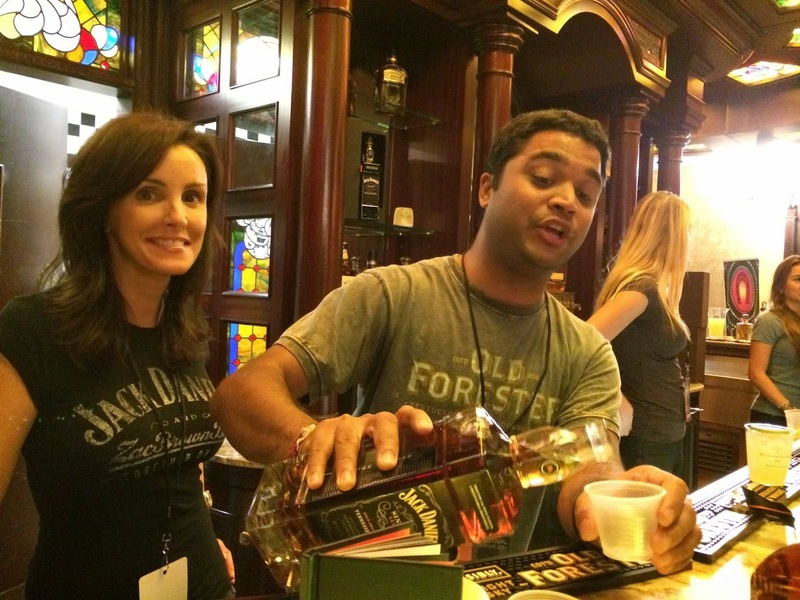 We were told that within the JD family, this is a comparable whiskey to Johnnie Walker Blue. And it was very smooth though I can't say I have $160 to take that bottle home. Fun experience there. I made a handful of new friends along the way which you can see below. And Ed made a new friend named Al from Dillon's out of Canada. 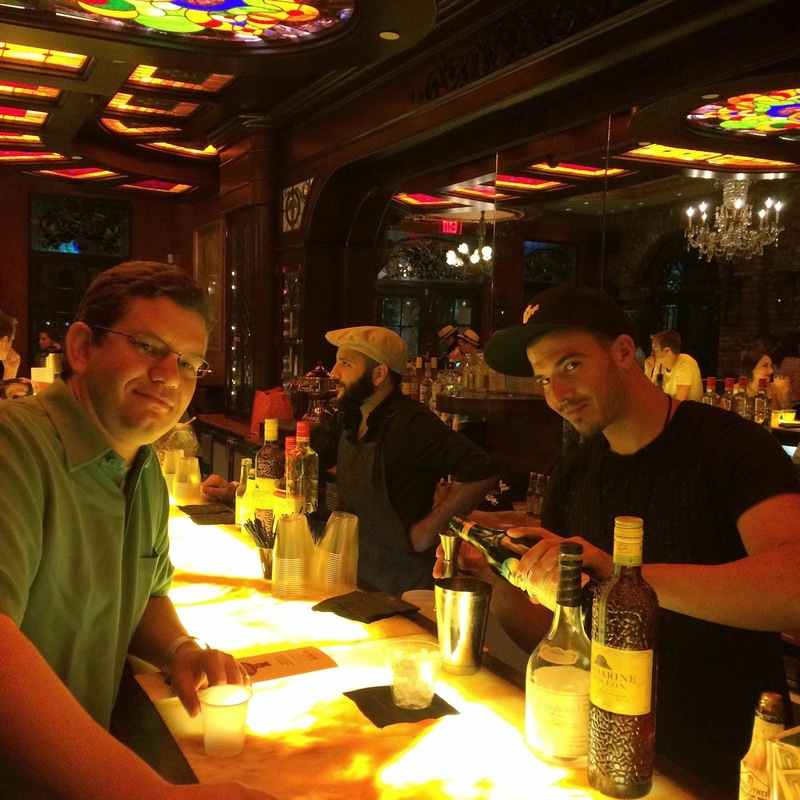 Al was a super passionate guy that obviously believed he has the most awesome vodka and gin in the world. He started telling us about the grapes they use to make their vodka, and I think what riled him up was when I asked if they modeled that after Diddy's Ciroc! Apparently there are only four or five vodka makers in the world that use grapes. 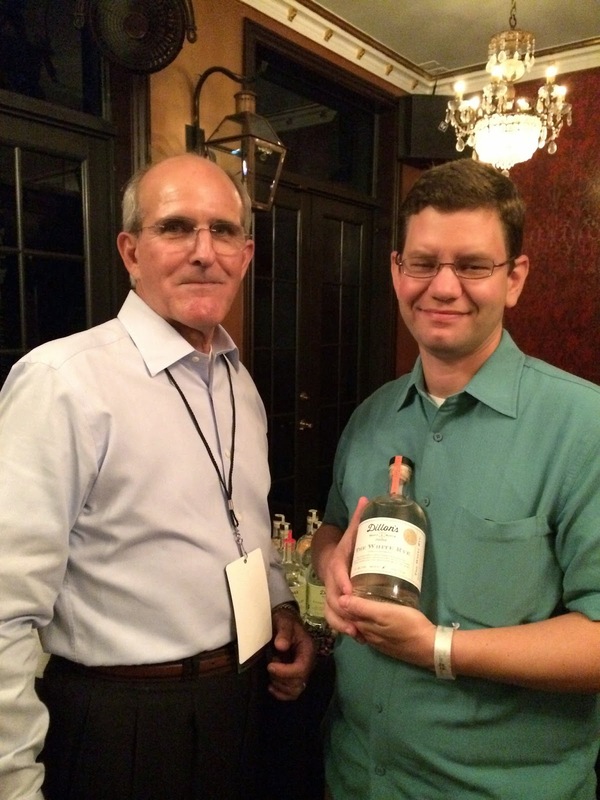 We then got to taste Dillon's gin. I asked him if I was supposed to drink it straight or it was to be used as a mixer in a cocktail. We got a botanical lesson like no other! My only real experiences with gin are mixing it with juice in college to be cool like Snoop and that my little brother and his pals got sick when they stole a bottle when we were kids. But apparently you can sip good gin straight! 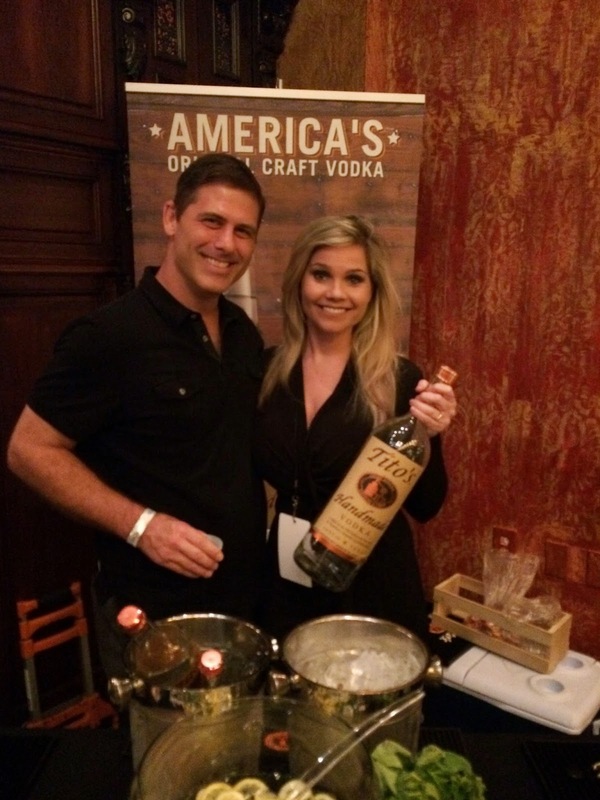 Up on the third floor, we were greeted at the Tito's Vodka table by my old friend Becky, who used to work at "my" Total Wine store. 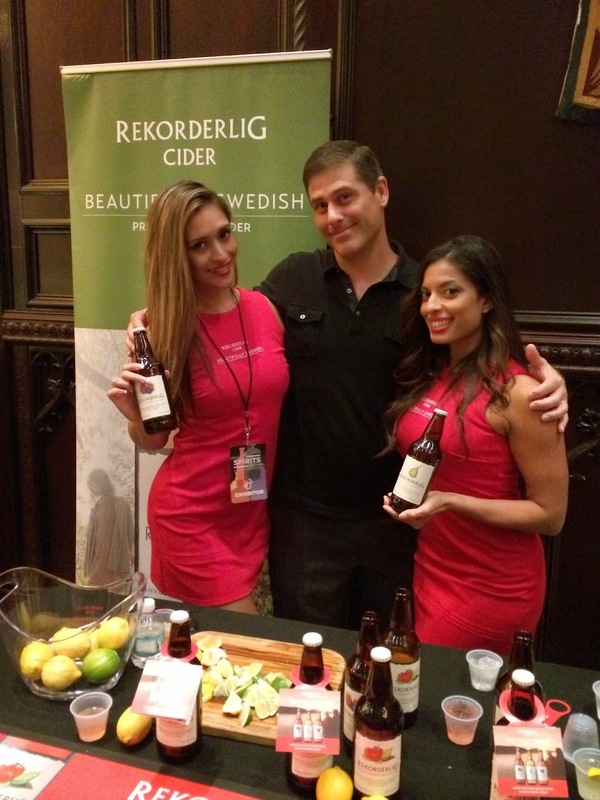 We worked our way through cordials, mezcals, bourbons, even ciders from Rekorderlig. 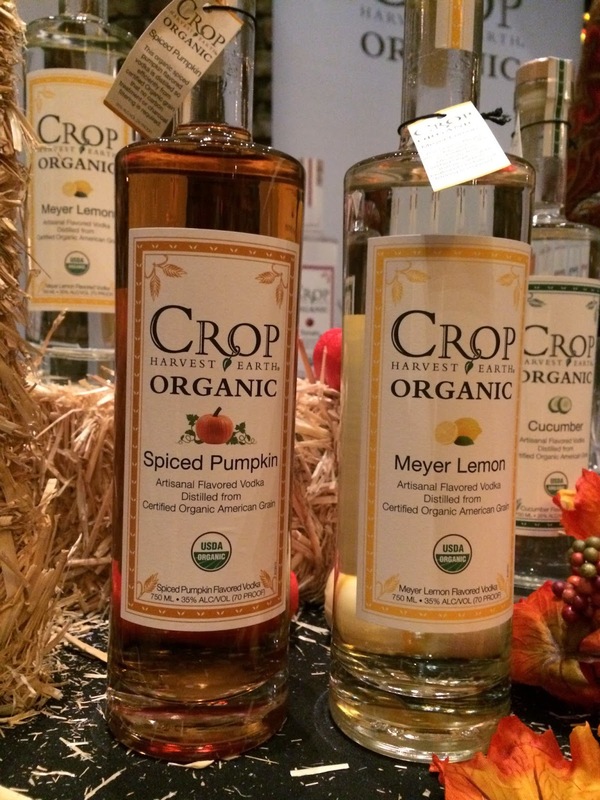 Crop Organic had this Spiced Pumpkin Vodka that was awesome! It was all organic and healthy and stuff, too, but that was secondary for me! 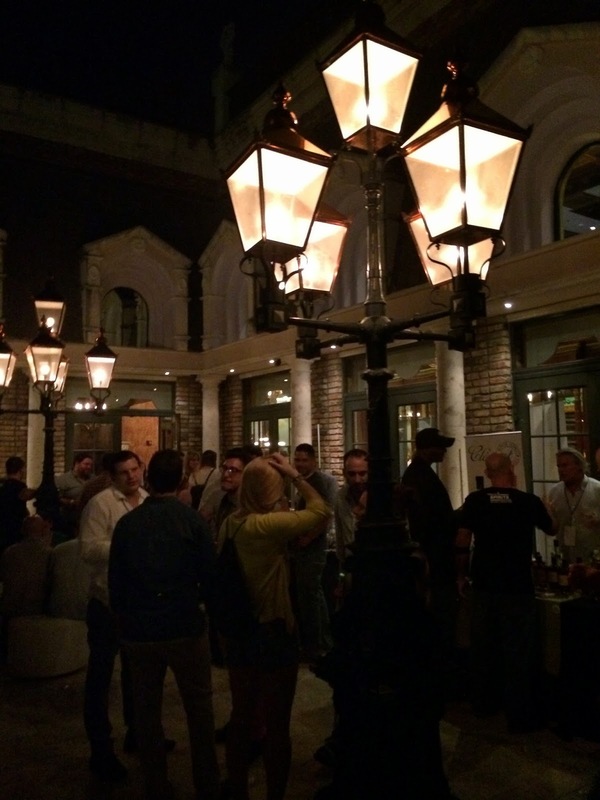 We lastly hit the outside terrace where Flor de Cana rum was flowing and cigars were being smoked. By that time, it was almost 11 pm so the vendors were starting to wrap things up. But we made it through the entire place, visiting almost everyone. 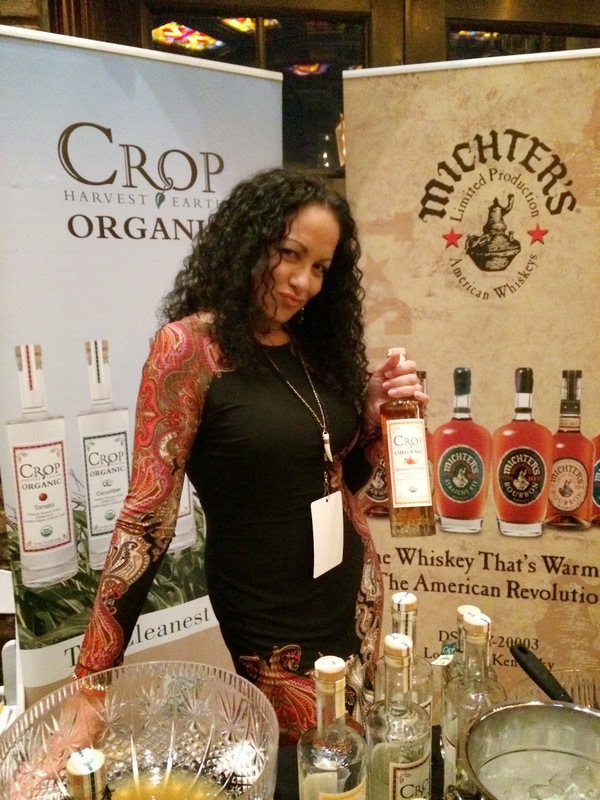 The Craft Spirits Festival was terrific, from the venue to the vendors! I can't wait to go again next year!